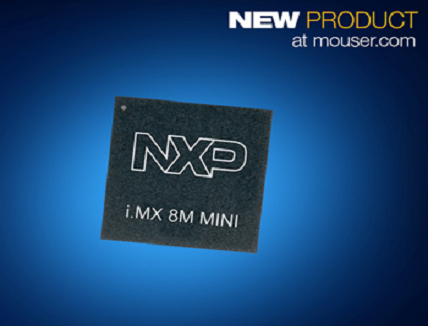 Mouser Electronics is now stocking the i.MX 8M Mini applications processors from NXP Semiconductors. NXP’s first embedded multi-core heterogeneous applications processors built using advanced 14LPC FinFET process technology, the i.MX 8M Mini offers high-performance computing, power efficiency, and embedded security for edge node computing, streaming multimedia, voice assistants, human machine interfaces (HMIs), and machine learning applications. The NXP i.MX 8M Mini applications processors, available from Mouser Electronics, are optimized for ultra-low-power (down to sub-Watt in specific applications), integrating up to four Arm Cortex-A53 cores running at up to 1.8 GHz, plus a 400 MHz Cortex-M4 for low-power real-time processing. The devices support 2D and 3D graphics to provide a rich visual HMI experience, feature hardware 1080p video acceleration to enable two-way video applications, and offer advanced audio capabilities to enable audio-rich applications. 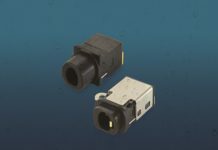 Supporting a wide range of general embedded consumer and industrial applications, the pin-compatible processors include an extensive selection of high-speed interfaces to enable broader system connectivity and facilitate industrial level qualification. The DRAM controller supports 32-bit/16-bit LPDDR4, DDR4, and DDR3L memory, providing great system design flexibility. NXP’s i.MX 8M Mini applications processors are supported by the 8MMINILPD4-EVK evaluation kit, which consists of a compact compute module and larger base board. The compute module integrates an i.MX 8M Mini Quad processor, PMIC, LPDDR4 DRAM, eMMC, and wireless connectivity via a Murata Wi-Fi and Bluetooth module. The compute module plugs into the base board, which enables the MIPI-DSI and MIPI-CSI connectors, USB 3.0 connector, and PCIe high-speed interfaces, among other peripherals. To learn more about the NXP i.MX 8M Mini processors, visit www.mouser.com/nxp-i-mx-8m-mini-processors.